It was a great three day weekend! I hope you all enjoyed your extra day off. We spent a lot of time with family, and Zoom adored seeing his twin cousins twice over the weekend. Here they are at Happy Hollow in San Jose on Saturday … now that they are two, they do a lot of running and we do a lot of chasing. I really like that it’s a small enough space to explore easily, and they have a great mix of toddler-friendly rides and small animals. And, we get a discount since we are members at the Discovery Museum of San Jose. Zoom and his cousins really love to hang out together. The ride on the ladybug (Granny Bugs) was especially hilarious; those two got in line together a couple of times and kept asking to ride in the same bug. Really adorable. 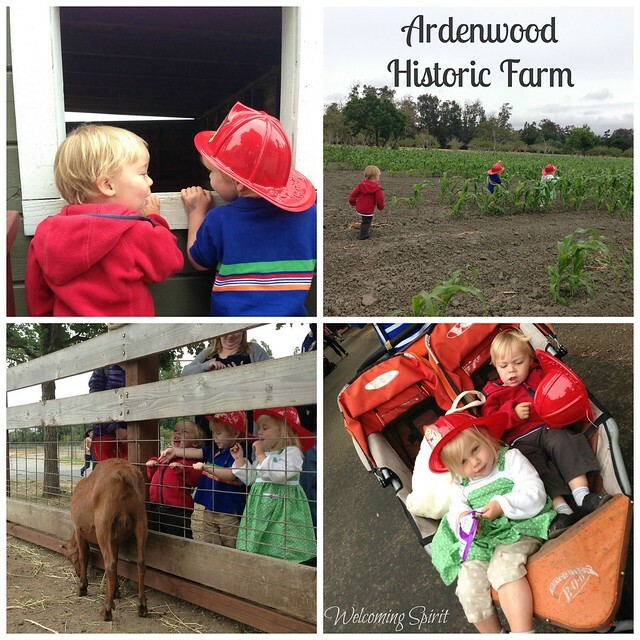 On Monday we all met up at Ardenwood Historic Farm in Fremont. The kids had a lot of fun checking out the animals, seeing a peacock, and learning about how corn grows. 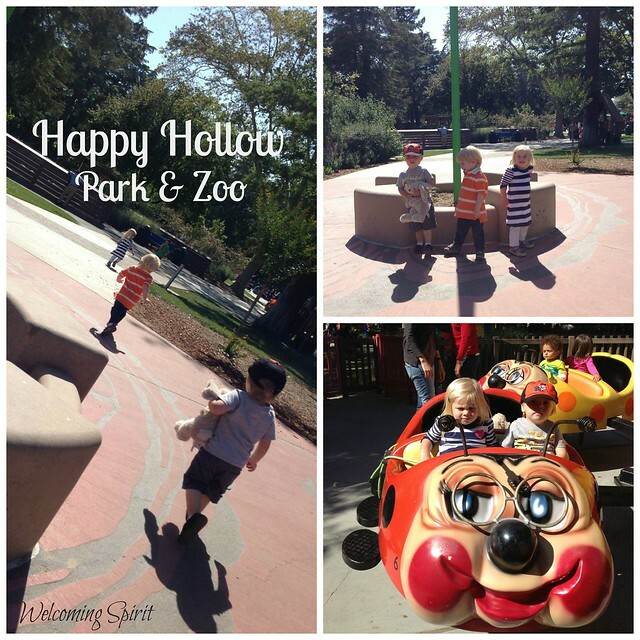 Ardenwood is another great place for the toddler age group. Monday was a free day, so it was pretty crowded, and it started raining while we were there. But even when they charge to get in, it’s inexpensive, and there’s lots to do and see. Yes, my child was definitely delighted by seeing a goat! And, we learned that fireman’s hats double very nicely as a rain cap. Hope you all had a wonderful Memorial Day!